Where do we begin to describe the joy and awe of our time with the rural churches in the Alaba District? This area is 99% Muslim. There are precious few congregations of believers, and even fewer church buildings. But our Lord is doing a great work in the midst of this spiritually and materially barren land! What is it like to stand in the presence of men and women who have paid a high price to follow our Lord? The first day we arrived I was introduced to 3 Sheiks. These men had come to the Lord in the past 2 weeks. As is the norm, they had all been severely beaten. The marks of the beatings were clearly evident on one of the men – long stripes across a mostly-bare head, with scabs well-formed. These men had come into town in order to hear Dave teach. How do these leaders come to our Lord? Most of these Muslim leaders give testimony that Jesus came to them in a vision. Their visions are very clear; there is no doubt that it is Jesus. His message is the same: it is a call to follow Him, and the call is given with love and authority. The converts know the price of obedience to Christ; it may cost them everything! 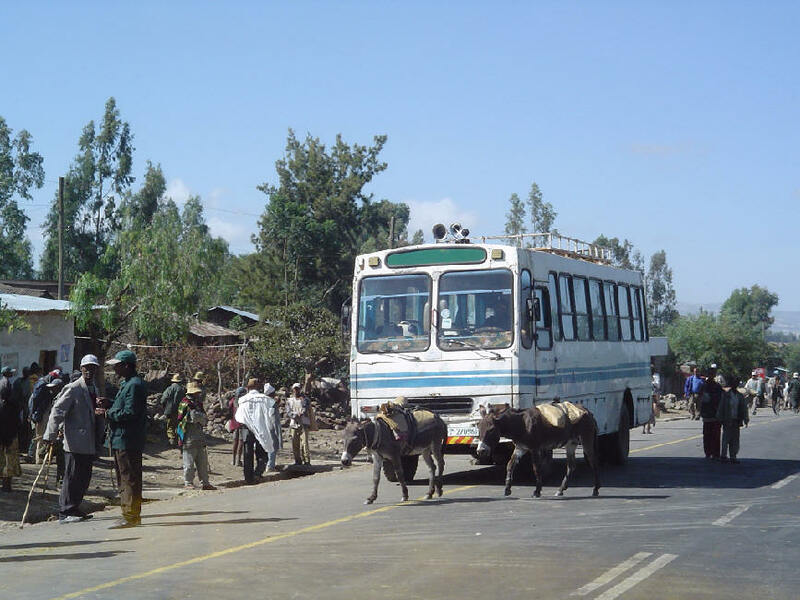 A young Christian man in the southern region rode the public bus from his town to a new church congregation in another area. Upon his return home, the bus was stopped by Muslims. Everyone was taken off the bus, and before they were allowed back on the bus they were required to recite the Islam statement of faith, “There is no god but Allah, and Mohammed is his prophet.” Everyone on the bus said the statement except this young man. Instead, he said “Jesus is Lord.” They shot him in the head. 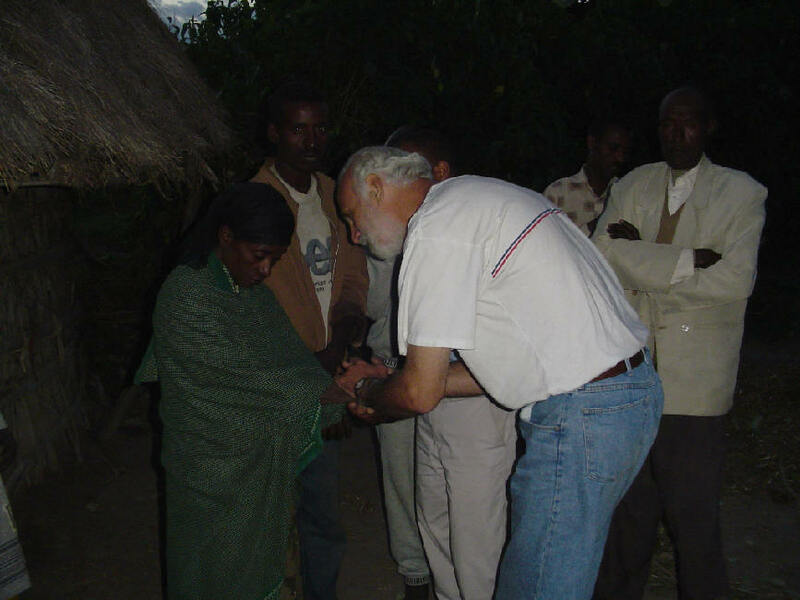 This happened the first week we arrived in Ethiopia. 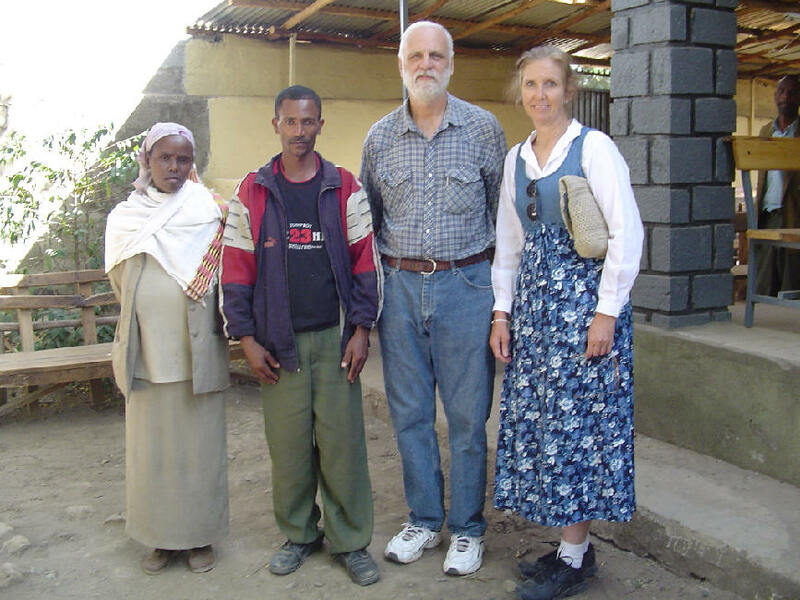 The cost of discipleship can be very high in Ethiopia. A full year later, exactly to the day, MN had another vision. Again, Jesus was standing over him, but this time Jesus was angry. His eyes were like flames of fire. MN said, “Jesus was angry, and He said to me, ‘I told you to come out. But you have not come out. 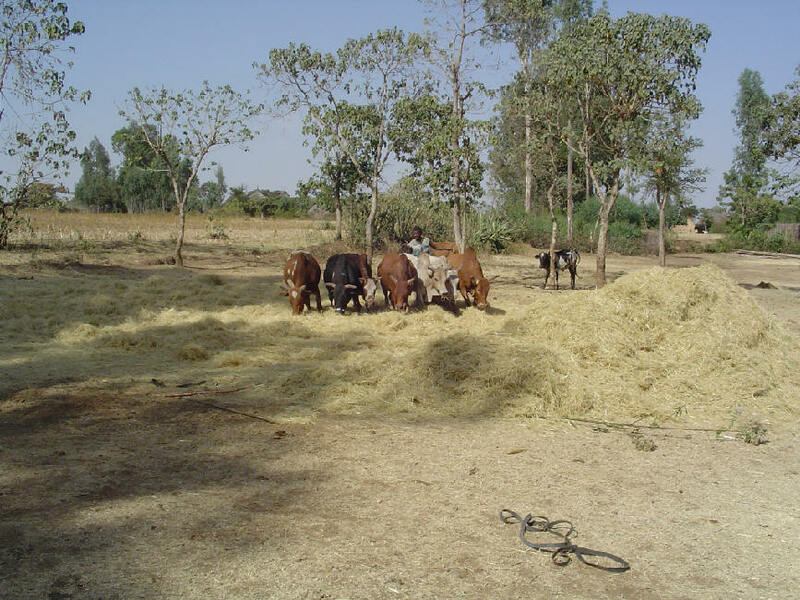 Now you will come out with trouble.’ Immediately I got very sick and all my cattle died. I told my mother about this dream also, and she told me to depart from the family because trouble was my destiny.” So MN called an evangelist from the town church and made a decision to follow Christ. Within a few short weeks of his conversion, his first wife tried to poison him; he separated from her, giving her his nice house in town. MN has donated his best land to the church; he has built a small hut to house the evangelist who comes weekly to teach him. MN has led 17 Muslim men to the Lord, speaking to them from the Koran and the Gospel of John. So in the last two years, he has “brought out of the cave” a little congregation of about 65 people. But they have no building in which to meet (more about this in Report #6). MN is now tutoring 93 (!) children at his home. These children come from Muslim homes. This is his seed-sowing activity. Please pray for MN. The persecution against him is continuing, even though it has been now 3 years since his conversion. 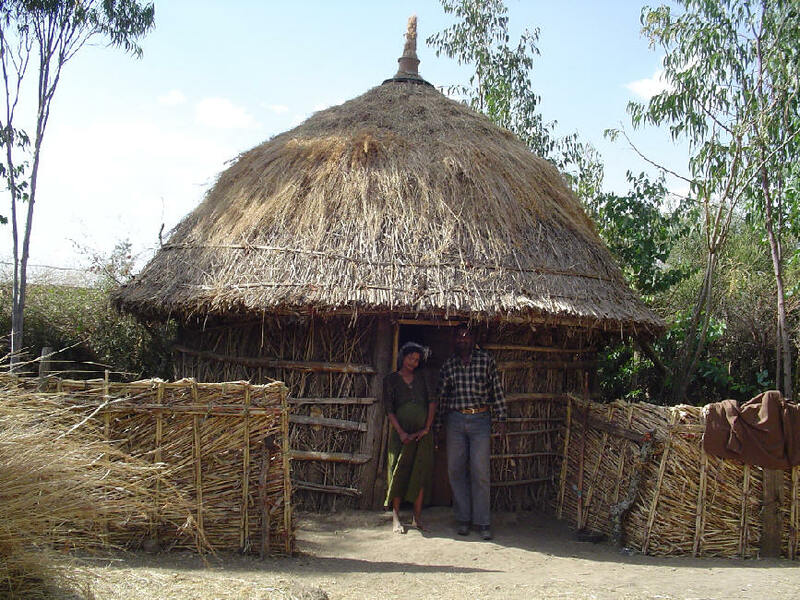 While he was attending one of Dave’s training sessions, people came and stole his crop which was stored in a hut. When I asked him how he felt about all the persecution, he replied “They can’t hurt me. I have so much peace and joy from Jesus, nothing they do can touch me!” And the radiance of his face showed the truth of his words. The other man is someone I’ll call OS. OS is about 50-60 years old. He had a vision also, where Jesus told him to come out and bring others. His vision occurred just after a trip to Saudi Arabia. (He often went to Saudi, because he was a main teacher of the Koran. The Saudis paid his salary, and he often went there for pilgrimage or training.) Immediately upon his conversion all of his cows were stolen, and when they were replaced by fellow believers they were stolen again. It has been difficult for the Saudi Muslims to accept OS’s conversion. As recently as 2 weeks before I visited him they had offered him a salary of 3,000 birr/month if he would return to Islam and continue teaching for them. Now to put things in perspective, in this area of Alaba the average farmer’s income is about 100-150 birr/month, and the average educated professional (like doctor or teacher) is about 300 birr/month. So the Saudis were offering this man 10 times the income of a professional person in his community! But for him, there was no consideration; how could he forsake the One who had saved him and called him?? Shortly after the offer of the Saudis was refused, OS discovered that the home of his son (who has a young family) was burned. Such is the life of these committed Christians. And yet they have no anxiety about these things. There is such a supernatural peace and calm in these circumstances. I was watching the reality of Romans 8:35-39 before my eyes. “Who can separate us from the love of Christ? We are more than conquerors, through Him that loved us.” The person of Christ is infinitely more important to them than their health, their homes, their possessions, or their families. They know that He is more powerful than all their oppressors, and it is better to “fear” Him than the oppressors. I left the holy ground of these persecuted saints struggling with a sense of envy and discouragement. Why had I not been called upon to suffer as they were for the Saviour? Did my Saviour think more highly of them than of me? Was I not worthy of persecution? What an honor to be asked to suffer for His Name’s sake! As I thought of this issue, two thoughts came to my mind: (1) Every day I am asked to suffer for His Name. How so? Because every time I am given an opportunity to speak of Him, or to act for Him, and it is not well received or is socially awkward, then I suffer a measure of shame for Him. I must pay attention to take every single opportunity to speak and act for Him! And, (2) although God has not placed me in a culture that allows the blatant persecution these believers are suffering, He has placed me in a society where I can suffer for Him through sacrificial giving. I can suffer for Him by working and giving, working and giving, working and giving (Eph 4:28: “work with his hands, that he may have to give to him that needeth”). The days of “convenient” giving are over for me! Now that I’ve seen what I have seen, I will happily do without those things that make my life easy and comfortable, so that I may give to those who are living on the edge, suffering with great courage to be called by His Name! The Muslim leaders want all the Christians to leave the area. 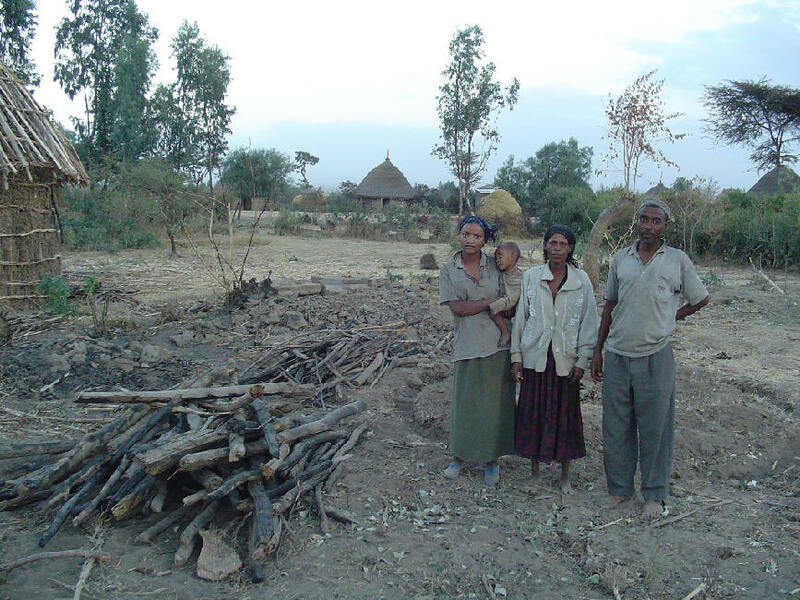 Although their 8-year-old daughter was slaughtered and they have become impoverished, this couple refuses to leave their home. The man told us “They want us to leave, but we are going to stay!” Already most of the witnesses in the hearing have disappeared; they have been threatened and are afraid to appear in court. Pray for this couple.